The fourth annual Summer Youth Theatre camp was a huge success. 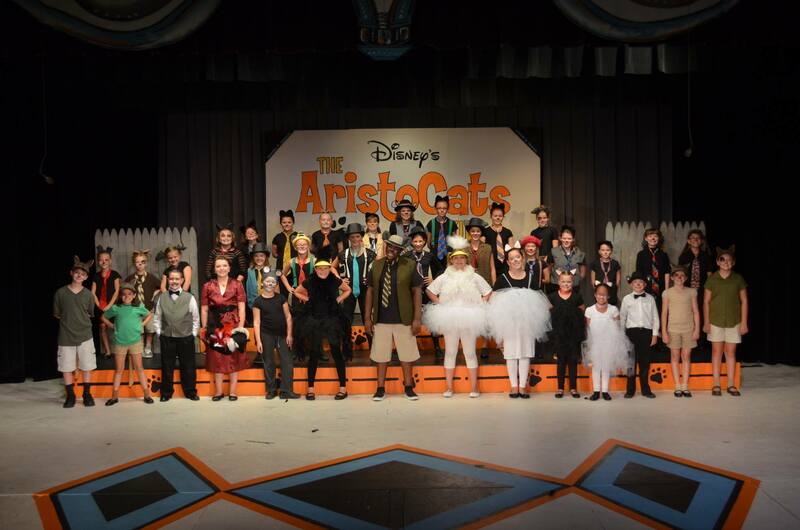 Many thanks to all the cast, crew, parents and the directors for another summer filled with magic, theatre and friends, see you again in 2014! This entry was posted in Youth Theatre by Mitchell Antesky. Bookmark the permalink. Also known as the "Crazy Bald Guy", Mitch has filled many different roles at FCT and other area theatres, including (deep breath) president, chairman, propmaster, tech director, set designer, set dresser, actor, and director...but not all at once. He is active at Genoa Civic Theatre, Bellevue Society for the Arts, and frequently collaborates with Oak Harbor High School as a designer and technical consultant.